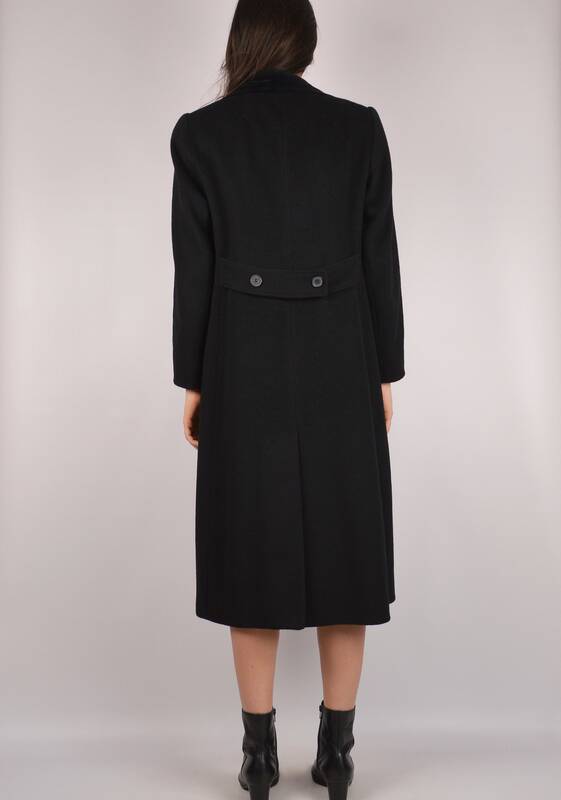 Vintage black wool winter coat with velvet collar. 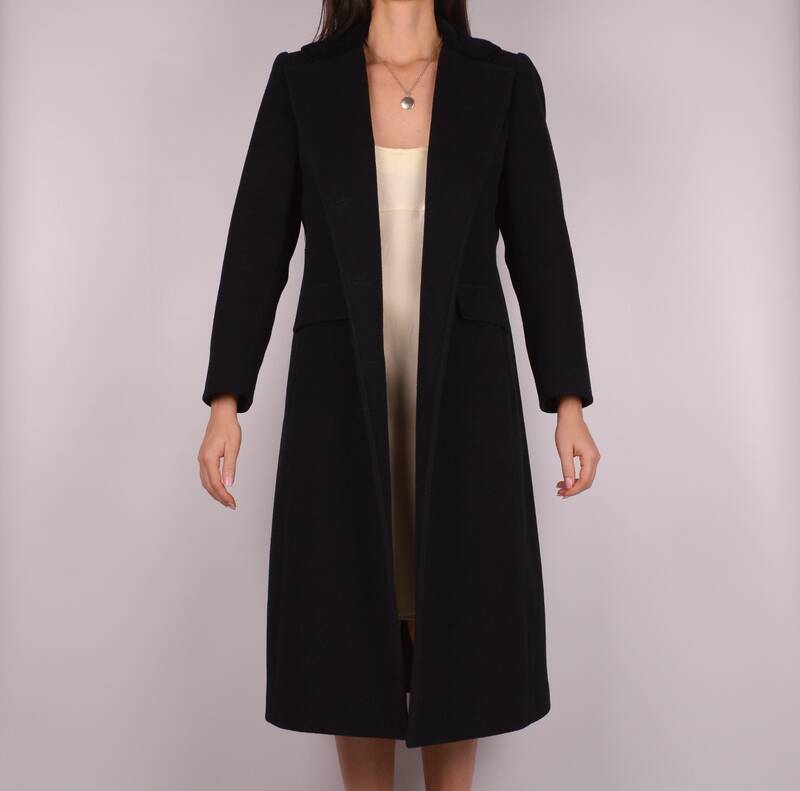 Has pockets and three button closure. Structured shoulders. Fully lined. Can be worn over a gown or with jeans. Super versatile. Minimalist chic!